At UF Health, we have always been laser-focused on providing exceptional care for the critical conditions that impact us most. As the nation’s population ages, we are witnessing an alarming surge in the incidence of heart disease, stroke, dementia and many other serious neurological conditions. Heart disease is now the leading cause of death in the United States, claiming 600,000 victims annually, and stroke ranks not far behind, impacting more than 795,000 Americans each year. These grim statistics are barometers for a corresponding rise in demand for care – and for University of Florida Health –are unmistakable rallying cries to step up and advance the world’s understanding of the heart and brain. We know that achieving our vision to be the Southeast’s best academic medical center and a destination hospital for patients with complex health issues hinges on several factors. Among them is our ability to attract and retain world-class faculty and clinicians, our adoption of advanced medical technology in the diagnosis and treatment of our patients, and our capacity to accommodate growth so that more individuals gain access to the very best care. 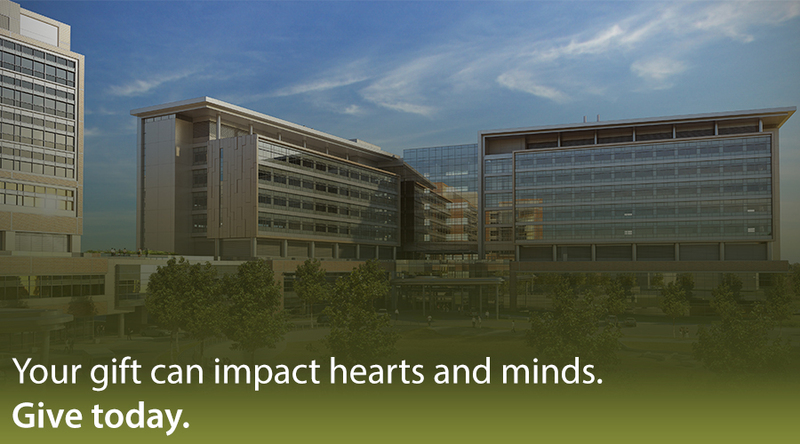 For this reason, we are embarking on our most ambitious initiative to date, building what will be the Southeast’s most advanced hospitals for heart and vascular care and neuromedicine. Scheduled for completion in 2018 at an estimated cost of $415 million, these facilities will dramatically transform our understanding and treatment of pandemic heart, vascular and neurological illnesses, establishing a new gold standard of care on our extraordinary health campus. So much more than bricks and mortar, this effort will save and extend lives, advance UF Health’s research imperative and enable a new phase of robust growth for our health system. As such, the UF Health Heart & Vascular Hospital and the UF Health Neuromedicine Hospital are the next critical steps in realizing the objective that drives all that we do – delivering the perfect patient experience to the Southeast and beyond.